The Return of Wonder: With work on the theater just about done, Flights of Wonder will soon be returning to the schedule. The show should return on April 17th with the newly installed roof. The show will return unchanged. A Thanks: Its nice to get some recognition for our stuff here and recently we got some unexpected compliments at WhatCulture, the online magazine. 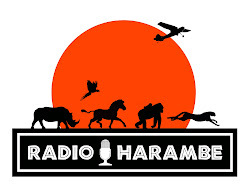 Radio Harambe was recognized as one of the 10 Disney podcasts you should be listening to. We are in esteemed company and quite a few excellent shows were not listed so, its an honor. Also, we were lucky enough to guest on a recent episode of Modern Mouse Radio where Josh discussed with us the state of the park. Take a listen and subscribe to his fantastic show. Happy Birthday EE: Today, April 7th, marks the 10th anniversary of the day Everest first opened up to the public. The attraction really changed the dynamic of the park. Soon, (hopefully) Rivers of Light will further change the dynamic for the better.